The Manned Maneuvering unit is a one-man propulsion backpack, used on Space Shuttle missions, that snaps onto the back of a spacesuit’s portable life-support system. 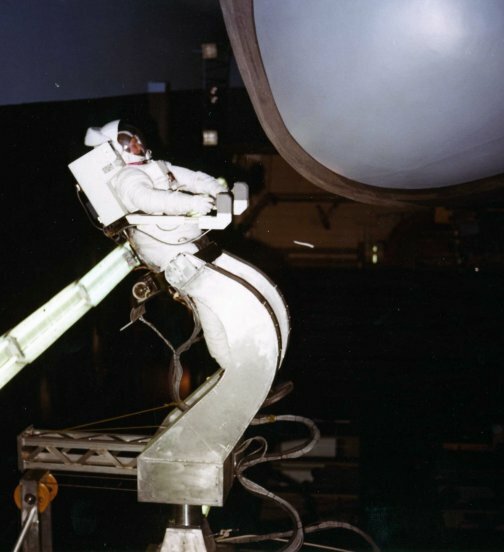 The MMU allows an astronaut to work outside without a tether up to 100 meters away from the Orbiter and is designed to provide EVA support for as much as six hours at a stretch. The MMU weighs 140 kg and is propelled by nitrogen gas fed to 24 thruster jets. Two pressurized nitrogen tanks can be filled from the Orbiter’s onboard supply. All systems on the MMU are dual redundant-if one system fails, a second can completely take over. 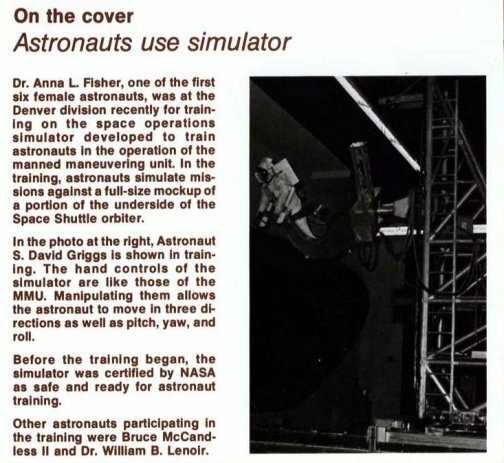 The MMU was used on three Shuttle missions in 1984. 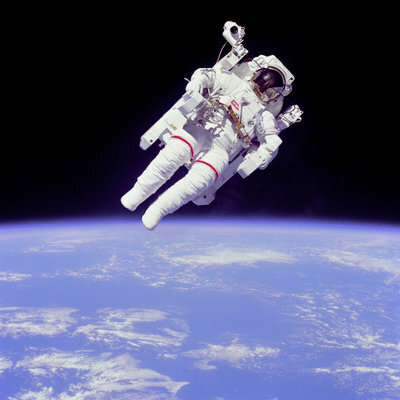 It was first tested on February 7 during mission STS-41-B by astronauts Bruce McCandless and Robert L. Stewart. Two months later during mission STS-41-C, astronauts James van Hoften and George Nelson used the MMU to capture the Solar Maximum mission satellite and to bring it into the orbiter's payload bay for repairs and servicing. Their work increased the lifespan of the satellite. The final MMU mission was STS-51-A, which flew in November of 1984. The propulsion unit was used to retrieve two communication satellites, Westar VI and Palapa-B2, that did not reach their proper orbits because of faulty propulsion modules. Astronauts Joseph Allen and Dale Gardner captured the two satellites and brought them into the Orbiter payload bay for stowage and return to Earth.